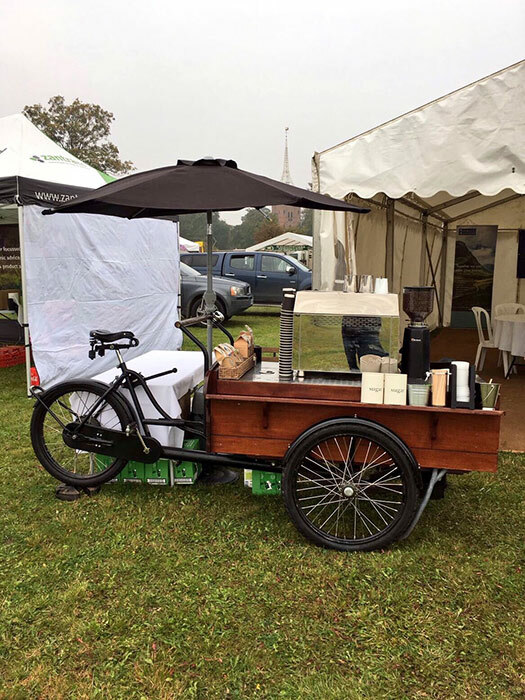 These fantastic mobile coffee Vans and Trikes provides fresh ground coffees, teas and delicious hot drinks at all kinds of events. They are Fairtrade and always use the finest organic products. Their baristas are fully trained and highly skilled in producing the most perfect cup of coffee! 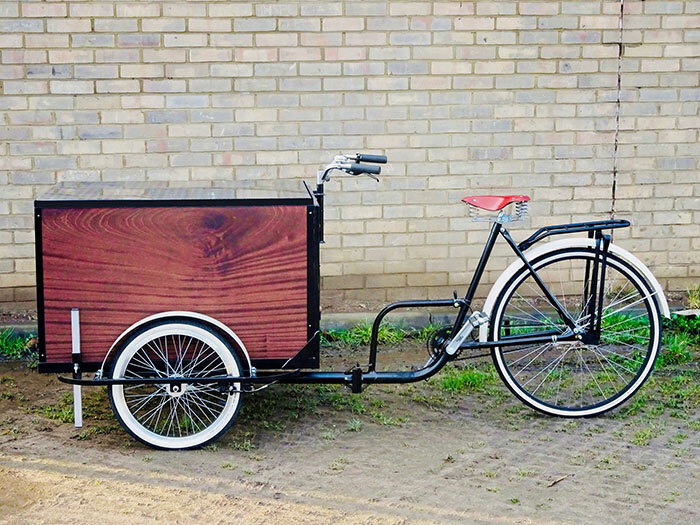 Their van is quirky, their trike is nimble, and they are certain to add a unique flair to any event. 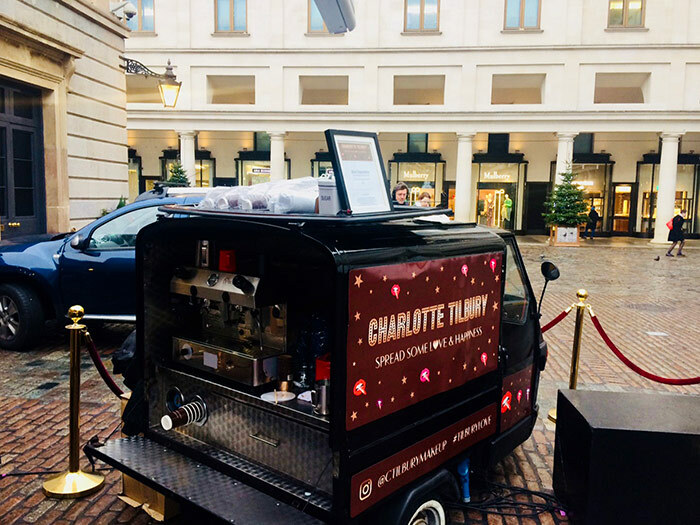 The mobile coffee van and trike are supplied by one of the UK’s leading mobile coffee companies, providing artisan bespoke mobile coffee services for any event including corporate branding, promotional experiential marketing, film and TV craft, office coffee bars, weddings and private hire functions. Professional baristas provide an exceptional freshly ground coffee experience. They produce made-to-order drinks from an extensive coffee house menu which includes fresh leaf TeaPigs tea infusions. 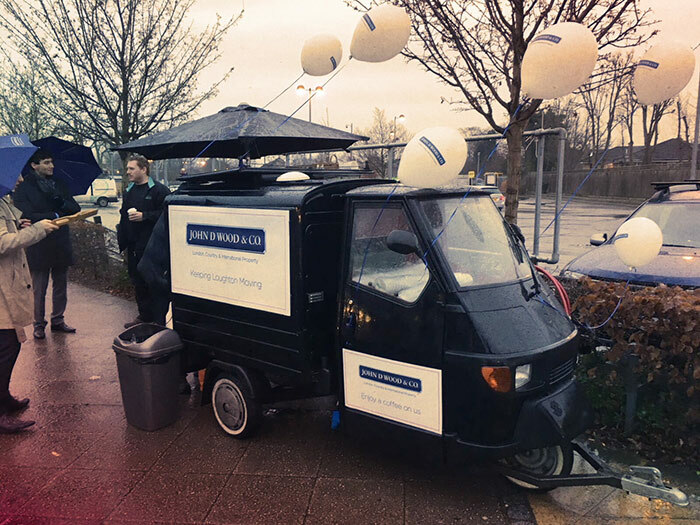 Clients can customise the van or trike to promote your product, launch or shop opening. You can have one of these compact coffee bars in pride of place at your conference, exhibition or office, giving your visitors a truly wonderful coffee experience. 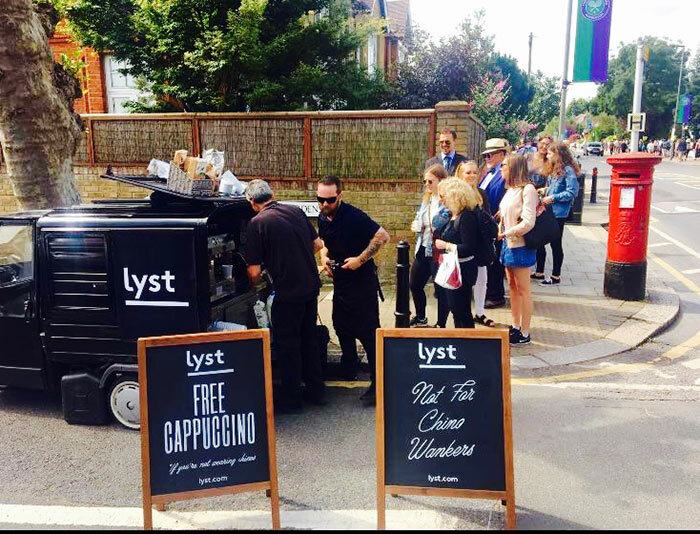 Bring the bespoke cafe experience to your event and reach out to see how we can help you. 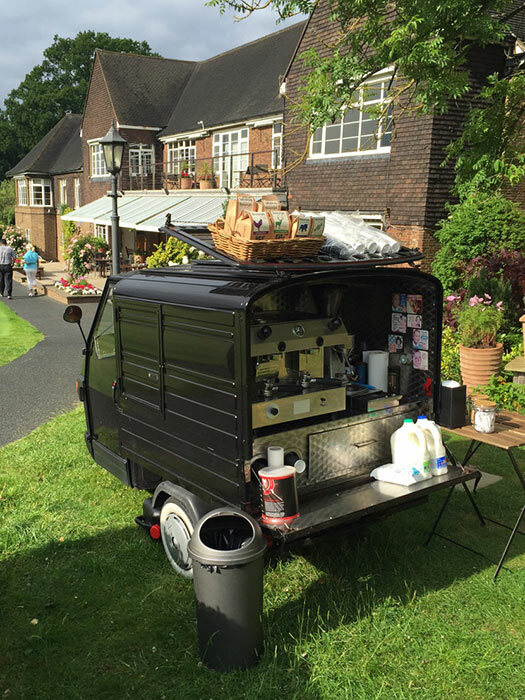 The coffee van is usually hired on a daily basis, but can also be hired for shorter events. I spoke to Jo at Google and she loved the coffee machine – she said it was perfect for the windy cold day! Felt sorry for the baristas though! I had a coffee and it was lovely too. All in all really speedy setting up, nice and friendly staff. One I would look to book again so thank you for arranging it all so last minute. We’ve worked with Chris & the team numerous times at our promotional events and they always provide a great experience. 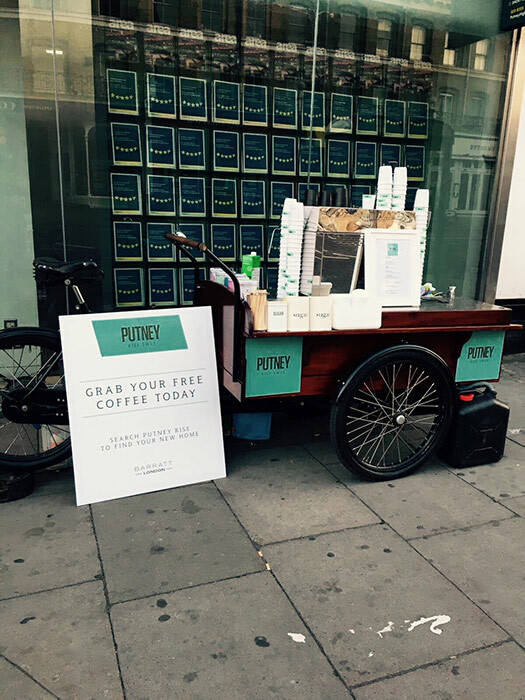 The carts are fully branded and the barista wears our uniform so as well as getting great coffee, it’s a good brand image. Would definitely recommend. 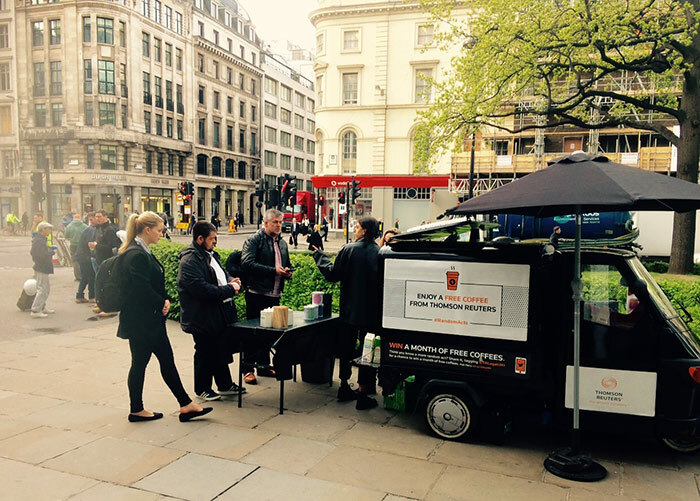 What great consultancy, and mobile coffee service Chris and the team provide. Always available for advice and ready to help whenever we have coffee related questions. Very professional, good value for money and always friendly and approachable. 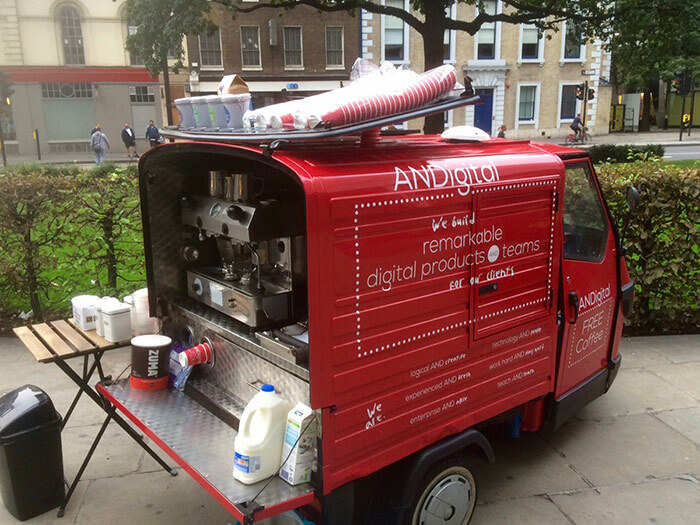 Chris is our preferred mobile coffee partner and would recommend him to anyone.